Many companies sell ink and toner cartridges. At Future Image we pride ourselves on providing the highest quality laser toner cartridges, compatible toner cartridges and color toners available, with the best customer service in the industry. Great service speaks for itself. Give us the opportunity to save you up to 50% on your next toner purchase. Please call Future Image at (800)759-7489 or (504)464-9824 for a price quote. Not all of the discount cartridges we carry are listed on our website! 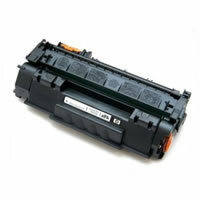 We carry laser toner, inkjet, copier, fax, ribbons, and wide format printing supplies, with new brands added weekly. Future Image carries an extensive line of popular laser toner cartridges from HP, Lexmark, Dell, Samsung, and Xerox as well as lesser known copier and fax products from Mita, Gestetner, Tally Genicom and more. We have the best selection of printing supplies no matter the age or make of the printer. We ship anywhere, and our professional sales staff provides great service. Our clients receive regular follow-up calls to ensure they will never run out of toner cartridges or ink cartridges again. If your business is located in the New Orleans metro area, we will even come to your office and inventory your supplies to make sure that your ink and toner cartridge supplies remain at whatever levels you set. Future Image will eliminate those expensive last-minute, emergency runs to the office supply store for printing supplies. Call us today to experience the best customer service in the industry.